Seahawks defensive lineman Michael Bennett on why he’s voting for Bernie Sanders. 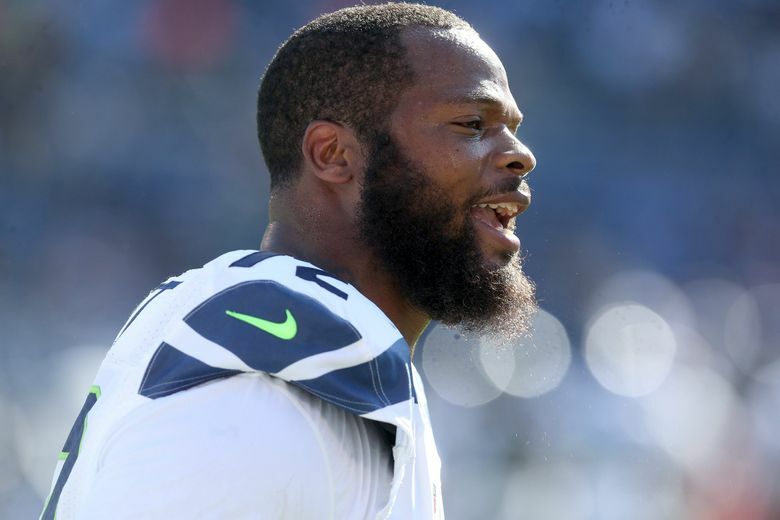 Seattle defensive lineman Michael Bennett stepped into the waters of politics Wednesday saying he plans to vote for Bernie Sanders for president. Many athletes choose to keep political leanings and other sensitive topics to themselves. But it has been clear for a while that Seahawks defensive lineman Michael Bennett is not like many athletes. And on Wednesday, when Bennett stepped in front of the cameras for a group session with the media, he did so wearing a Bernie Sanders hat adorned with a “Bernie” button. Bennett said he knows he’s likely to hear about it from people who don’t agree but added that he doesn’t care.